Gus Kenworthy has a date with history. On Sunday [Jan. 21, 2018], he earned not only the chance to go for the gold in slopestyle skiing at the Olympic Winter Games PyeongChang 2018, but also to be one of the first two openly gay men to compete for the U.S. at the Winter Olympics. Adam Rippon, the 2015 U.S. figure skating champion who qualified for the Games earlier this month, is the other. 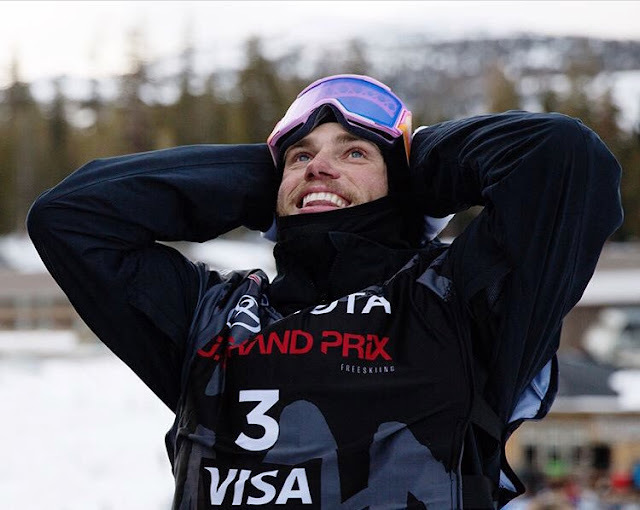 Kenworthy qualified for his second Olympic team when he finished second at the Toyota U.S. Grand Prix at Mammoth Mountain in California, in the fifth and final Olympic selection event for slopestyle. The second-place finish gave the 26-year-old the two podiums needed to meet objective criteria for the Olympic team, after he won the grand prix event at Snowmass in Colorado last week. Canada’s Evan McEachran won the second final held Sunday with a score of 96.40. Kenworthy earned a 94,80, while Nick Goepper, who qualified for the Olympic team earlier in the day, was third with a 93.20. Kenworthy, who literally bent over backwards in a gruesome crash during Friday’s halfpipe competition, set the bar on his opening run. He nailed every trick, hitting a big right double 1260, a switch left double cork 1260 and ended with a massive triple cork 1440 to take command of the leaderboard after the first run. Gus Kenworthy has a lot on his shoulders these days. But not dandruff. With the Olympic Winter Games coming up next month in PyeongChang, South Korea, Head & Shoulders has named the U.S. freeskier its newest ambassador.